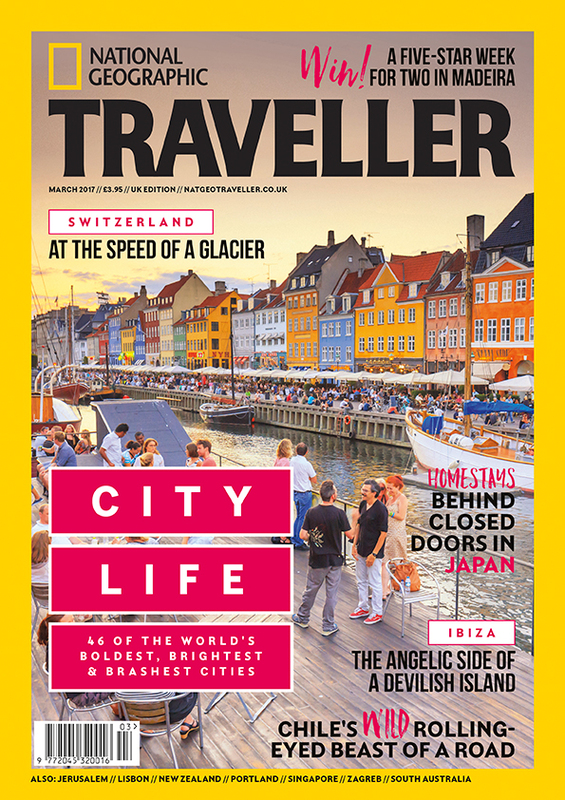 The 188-page March 2017 issue of National Geographic Traveller (UK) has hit the newsstands. Cover story: In our cover story, we explore the world’s most dynamic cities and take a look at what’s coming to your favourite metropolis. Destinations: We move at the speed of a glacier in Switzerland; traverse the Carretera Austral in southern Chile; head inland in Ibiza; and spend a long weekend in and around Zagreb. Our picture story, meanwhile, captures South Australia. Cities: Check out our urban highlights this issue, including Jerusalem, Portland, Lisbon, Queenstown and Singapore. Smart Traveller: A Baz Luhrmann hotel in Miami, the best rooms in Gothenburg, an architecture tour of Baku, Ray Mears’ unique cuisine, and sampling the great outdoors in Rye, East Sussex. Author Series: Samantha Wilson in Honduras’ Bay Islands. Travel Geeks: Ask the Experts includes advice on Cuba and safe diving, plus tips on photography and cheap rail tickets. 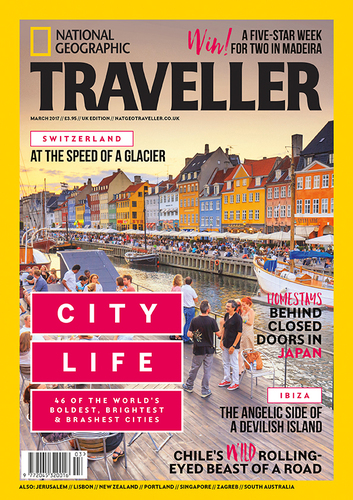 National Geographic Traveller (UK) has a cover price of £3.95, via subscription and on newsstands, and is published 10 times a year. Visit natgeotraveller.co.uk for more information. This press release was distributed by ResponseSource Press Release Wire on behalf of APL Media (Absolute Publishing) in the following categories: Leisure & Hobbies, Travel, Media & Marketing, for more information visit https://pressreleasewire.responsesource.com/about.